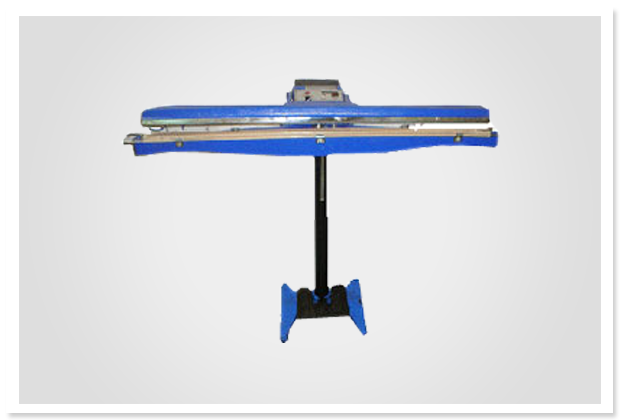 Foot Impulse Sealer|manufacturers and suppliers|in Mumbai,India. Supplier & Manufacturer of Foot Impulse Sealer. Our product range also comprises of Heat Shrink Tunnel Machine, Shrink Tunnel Machine and Shrink Tunnel Heavy Duty. We manufacter & export premium Foot Impulse Sealer worldwide. Our auto sealer machine is perfect for pouch sealing of all the pouch BOPP, PP, LD all pouch, including aluminium foil. It perfectly seals 1/2kg to 25kg tea, confectionery, powder, wafers and snacks. This machine can be operated both mannually as well as automatically. Foot Impulse Sealer assists in speedy production and requires very less maintenance. Foot sealer sealing machine suitable for 1/2kg to 25 kg.pouch high Quality of Sealing.Accurate sealing of pouch packing machine like tea, confectionery, wafers, snacks, powder.